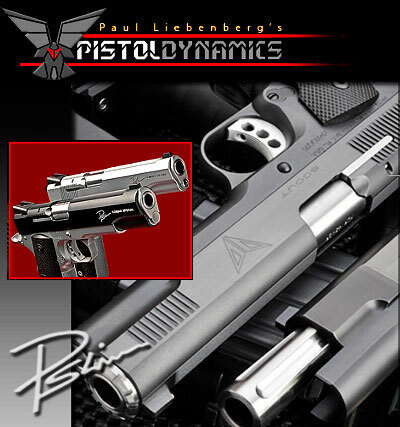 Paul Liebenberg of Pistol Dynamics is widely considered to be one of the finest pistol-smiths on the planet. When you ask other well-known pistol-smiths whom they would rank among the very best, Liebenberg is a consensus pick. And Paul’s work is in high demand. There is a multi-year-long waiting list for his custom pistols, mostly built on 1911-platforms. Now Liebenberg is sharing his pistol building/tuning knowledge through a professionally-produced video from Panteao Productions. In this two-Disc DVD, Paul Liebenberg demonstrates the procedures he employs when crafting a custom 1911 pistol. The DVD covers all key aspects of customizing the 1911 pistol. Topics covered include: fitting barrel and barrel bushing, installing grip safety and thumb safety, installing and tuning the trigger, installing and tuning extractor and ejector, relieving the mag well, undercutting the trigger guard, lowering the ejection port, and much more. This is a rare opportunity to learn from a master gun builder like Paul Liebenberg. Panteao is accepting pre-orders for the DVD and expects it to be released shortly. A trained industrial designer from South Africa, Paul Liebenberg was a member of the World Champion South African Practical Pistol Shooting Team. An NRA High Master and four-gun firearms instructor, Paul competed successfully in many disciplines in the shooting sports. In 1983 Liebenberg immigrated to the USA and joined Pachmayr Gun Works in Los Angeles where he rose to manage the Custom Gun Shop. In 1985 he opened Pistol Dynamics in Los Angeles to build high-end 1911 competition handguns and Pachmayr pistols on contract to that company. 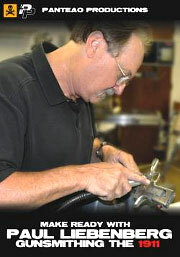 Today Pistol Dynamics is based out of Palm Bay, Florida where Paul continues to build high-end 1911 pistols. Share the post "Paul Liebenberg DVD Shows 1911 Pistol-Smithing Techniques"
Story by Lars Dalseide for NRAblog. Last year, the National Firearms Museum received a shipment from Sagamore Hill — the ancestral home of President Theodore Roosevelt. While Sagamore Hill undergoes renovation, the National Parks Service was kind enough to lend a portion of the estate’s collection to the NRA Museum. That collection now is on display under the exhibit named Trappings of an Icon. For more on the opening of this special Theodore Roosevelt collection, tune in to Curator’s Corner on NRANews and SiriusXM Satellite’s Patriot AND Patriot Plus. 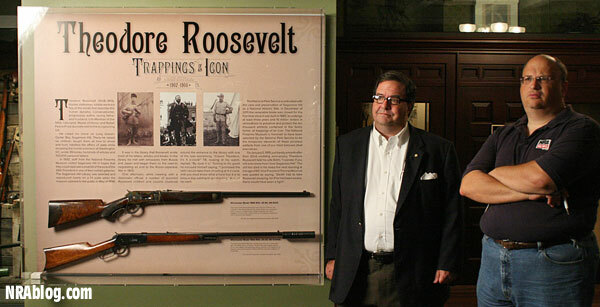 Share the post "Special Theodore Roosevelt Collection Unveiled at NRA Museum"
The Civilian Marksmanship Program (CMP) has developed a handy iPhone App to be used for scoring CMP Matches. The CMP’s program for Apple smart phones and iPads is called, appropriately, iPhone App – CMP. This new App’s easy to use interface allows quick recording of a shooter’s score after each string. The CMP App also calculates your shooting percentages automatically throughout the event. In addition, the shooter can enter notes or record wind, temp and other conditions in a notes field. This application is sponsored and endorsed by the Civilian Marksmanship Program and is now the official mobile App for keeping score at CMP-sponsored shooting events. A portion of the proceeds from the sale of the iPhone App – CMP are donated to the CMP. This application is sponsored and endorsed by the Civilian Marksmanship Program and a portion of the proceeds from the sale of this software are donated to the CMP. Share the post "CMP Offers Scoring App for iPhones and iPads"